I’ve come to love Steve Almond from his role as co-host of the Dear Sugars Podcast with Cheryl Strayed. In fact, he is the original Sugar. 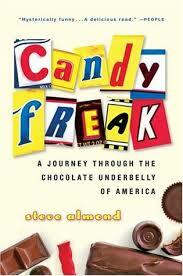 I set out to read his work, and was thrilled to discover he’d written a book about candy, so that’s where I started. This is a super fun, interesting look at a few of the last remaining family owned candy making businesses in the United States. This book is referenced in the one above, and I haven’t gotten to it yet. Apparently the author is the first person to ever gain access to the highly secretive companies of Hershey and Mars. This is the history of the business of chocolate. I read this many years ago and have gone back to it again and again. Liftin chronicles her life through candy memories and milestones. 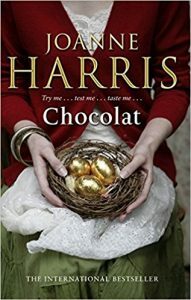 This lovely novel tells the story of a straitlaced village’s awakening to joy and sensuality, after the arrival of a new citizen who opens a chocolate shop. 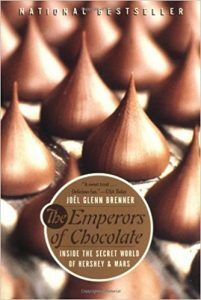 Almost every page holds a wonderful mouthwatering description of chocolate! My list wouldn’t be complete without this classic. 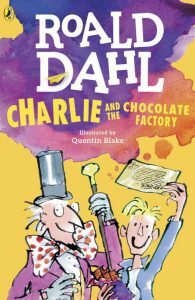 The story of poor Charlie Bucket, who finds a winning Golden Ticket for a tour of Wonka’s Chocolate factory. 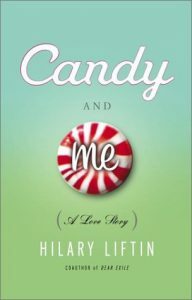 It’s ultimately an inspiring story, full of zany characters and yummy candy descriptions. I have thoroughly enjoyed the author’s other novels, although I haven’t gotten to this particular one yet. 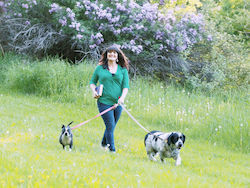 Her stories are magical and romantic, all with a vivid southern setting. Here we have Josey, who lives with her mother and hoards sugary treats in her closet. One night she finds Della Lee Baker hiding among the hidden treats. She’s a local waitress who is Josey’s nemesis but also partly fairy godmother. It’s a novel about friendship, love, and hope for the future. 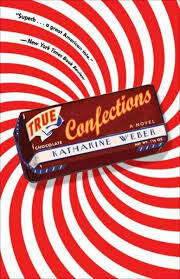 Alice marries into a family whose business is Zip’s chocolate candy. 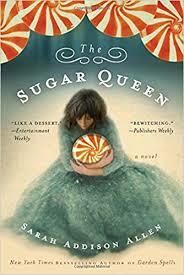 In this novel, she tells us the saga of the family-owned-and-operated candy company, now in crisis. 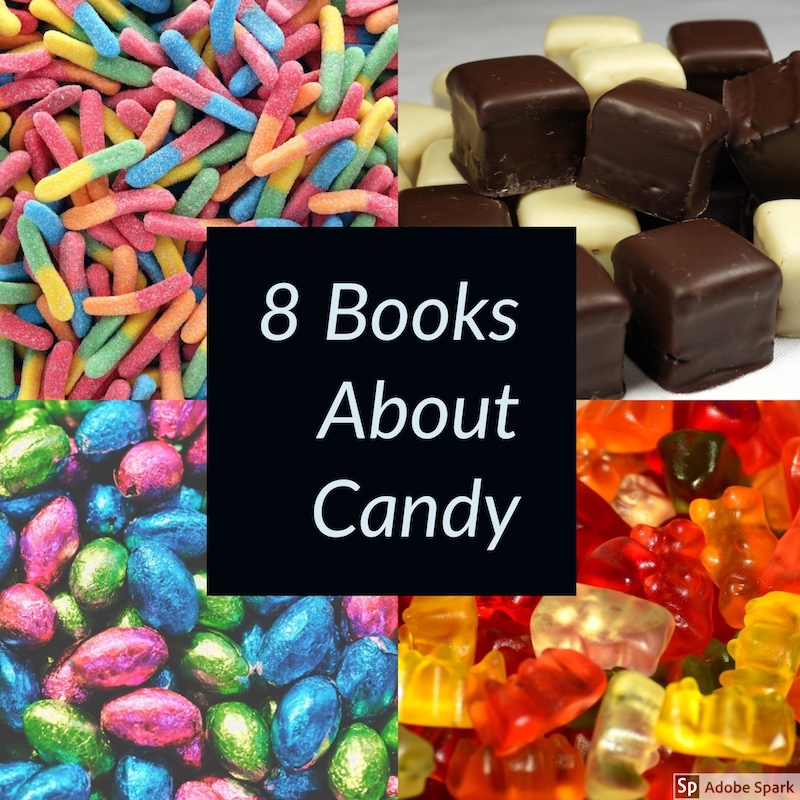 Here we have a cultural history of candy, exploring how it evolved from medicinal uses and being a luxury, to today’s candy bar treats. 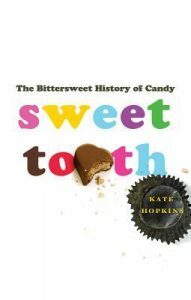 Kate Hopkins travels through Europe and the United States while providing us with both a personal account of her obsession with candy, and a thorough explorations into its history and development.